Have you ever wondered ‘how much money can a blogger earn’? If so, this is exactly the series for you! Maybe you are just getting started blogging, and wondering how far it can realistically take you, or maybe you are already earning from your blog but you are interested in learning how much other people are making and how they are doing it! In part one of this series I shared a link to an anonymous form that bloggers can fill out, to share their info. In part two of the series, How much money do bloggers really earn, I posted information from 11 different bloggers, as they shared it through the form. Today is part three in this blogger earnings series! 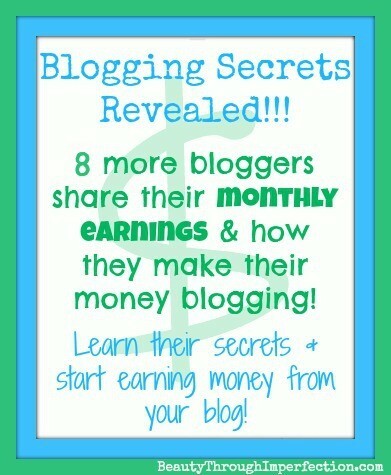 We are hearing from 8 more anonymous bloggers who were kind enough to share about their earnings! Some of these bloggers are making a really good living from their blog, and it’s exciting to see what is possible with some hard work! Any advice for those hoping to start earning money blogging? Advertise on different social media sites. Don’t be afraid to advertise yourself and others will see what they like of yours and share it, as well. Take a sponsored post & make it work for your blog. Be grateful & remember that this is a blessing. Any advice for those hoping to start earning money blogging? Sign up to some of the websites offering advice to new bloggers. Read and learn as much as you can and you are never too small to start with some advertising. Any advice for those hoping to start earning money blogging? Be passionate about what you’re blogging about because money does not come over night. It take time to build an audience and communities. Any advice for those hoping to start earning money blogging? Focus on affiliate offers rather than on Adsense and Amazon. Targeted traffic and content tailored to the needs of your website visitors are the most important part. Any advice for those hoping to start earning money blogging? Blog because you love it and be patient. It took me 2 years of full time blogging before I began making real money. If you are only blogging to make money you will be disappointed. Any advice for those hoping to start earning money blogging? It takes time…do it because you enjoy it! Any advice for those hoping to start earning money blogging? It takes time and hard work. If you are looking for some more specific ways to earn, check out this post I wrote about how you can earn money blogging! Have you ever considered blogging as a part-time or even full time job? I had never considered blogging as a part- or full-time job before, but your posts have got the wheels turning now! I blog because I enjoy writing and reading other people’s blogs, but if there is a possibility of making it a part-time job, why not? I’m a new stay-at-home mom and want to make sure whatever side endeavors I take on do not come before taking care of my son, so blogging is a nap-time or late night activity. Right now, my blog is new and I feel “too small” to earn any money, but I’m going to learn more about it because of Blogger 13’s advice! Thanks for compiling this information for us it is very informative. I hope to one day make a little bit of money with my blog but right now I don’t think I get enough page views to amount to much. I have enjoyed reading your other posts as well in this series. This is very informative and inspiratinal. 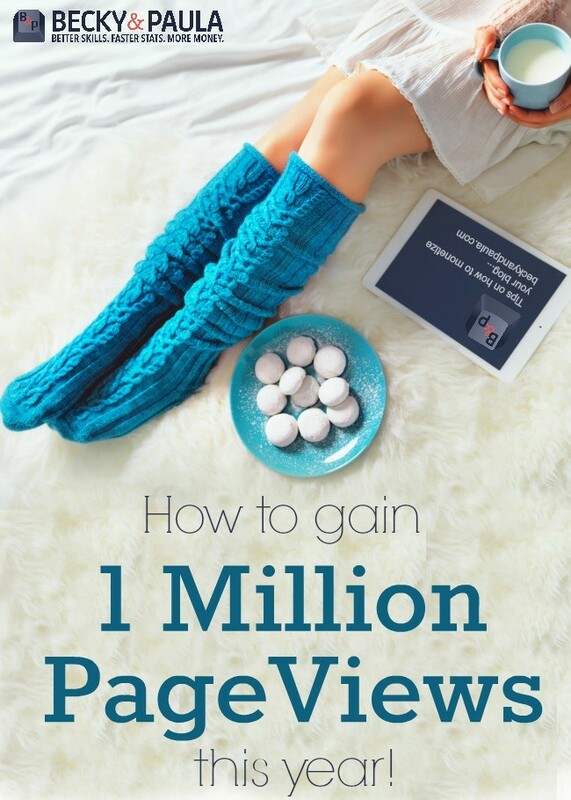 It will be helpful to see what steps helped these bloggers to get their traffic. It will also be helpful to see how they built it up to these numbers. This is quite informative and helpful as well. I’d be curious to know how long it took them to start making money too. But it does go to show you a lot of hours are put into blogs. It’s nice to know that I the amount of time I am spending on my blog is reasonable! Thanks for linking up with us at LOBS! Visiting from TGIF. I my blog is on wordpress.com and they don’t allow plugins. Could I make money with my blog too? Hey Annamaria! :) WordPress.com does not allow it’s users to earn money on their blogs. Not even through sponsored posts, it’s agains the terms and conditions. You would have to move your blog to blogger (free blogging platform, but not as professional as wordpress.org) or self-hosted wordpress aka wordpress.org (this is what I use). Yes, I would love to hear more about the blogs who do very well, monetarily and what is most successful and why they feel they were able to get their readership up so quickly. I’m sure they don’t want to divulge too much as bloggers tend to want to keep this more close to their chest, but I would love more advice from these blogger and what they attribute their success to. A really informative post. I have often wondered how well people make off their blogs. It would be nice if we could have had links to their blogs to get idea of what types of products or services they advertise. I’m off to read other posts in your series. Found you via Fellowship Fridays. Linking up via #LOBS & this is quite informative. Thanks! Oh, thanks for doing this! I’m going to come back and analyze everything when I have time. This is just as eye-opening and helpful as your other ones have been. Thanks so much for sharing this info. Such a great idea! Have a wonderful weekend! Okay, you’ve totally convinced me to do an e-book which was on my list anyway but now I just need to outline it and move forward. Coming by from the Ladies Only Blog Share! 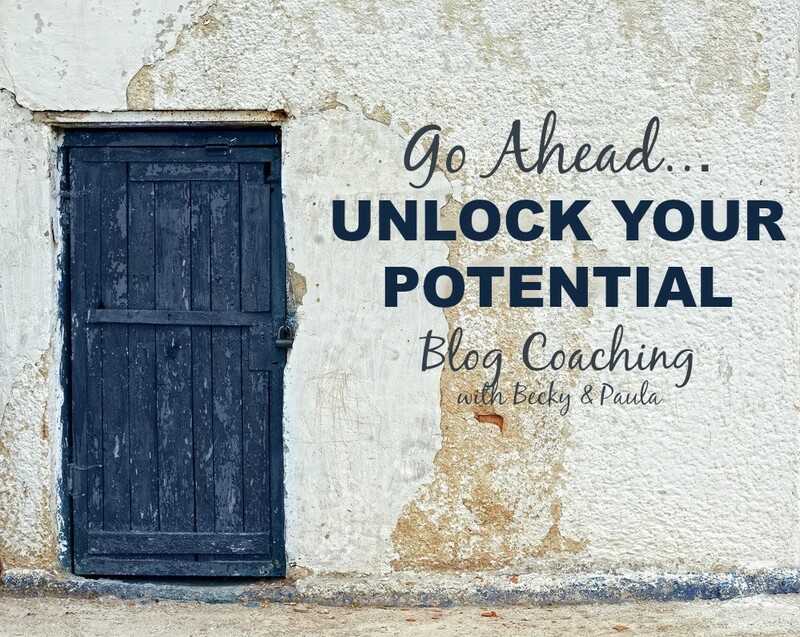 Paula, I just found your blog via the Women Living Well link up party, and am loving it! If you don’t mind my asking, how long did it take you blogging before you started making money? Or do you know in general how long it takes to start earning if one is consistently adding content? I’m a mostly stay-at-home Mom of one (so far) and would really like to be able to earn enough to not have to do any work outside the home; of course I love writing anyway and started blogging just for fun, but think I would really like to get more serious with it. That’s a hard question for me to answer, I’ve been blogging on and off since I was 15. But since I decided to “get serious” with my blogging and head in a more professional direction it took around 5 to 6 months. I think 6 months is a good average, because it gives you time to get your readership and pageviews higher. I’m working on a post about when to start monetizing your blog. i don’t think there is a specific time frame that will be the same for every person, but you definitely want to have some decent and consistent daily pageviews before you start bothering with it. Otherwise you won’t be making much and will be taking time away from creating great content & getting your page views up, to try to monetize your blog. I waited until I was getting 500-1,000 pageviews a day before I monetized, and I”m really glad I waited! Oh that is so helpful to know, thank you! I’m sure I will have more questions for you as I go along :) But it is good to know that for right now I can just relax and create for a bit longer. I started about 3 months ago, so I will give it till the end of the year before I start worrying about starting adsense or something like that. What / where do you advise someone like myself, who is not web savvy at all, to start with learning how to even start a blog? How do you know which site to trust, and should I expect to pay a fee? 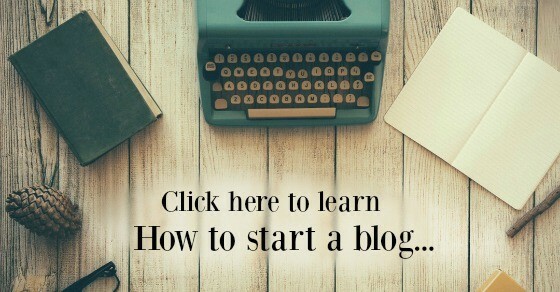 Amy Lynn Andrews has an excellent series about how to start a blog. It depends on what you are looking for, whether or not you will have to pay to start one. There are several free options, but in order to have a higher quality site, there will be money involved for hosting and domain servieces etc. Feel free to stop by there or the blog’s Fb page to ask questions! Thank you for sharing this information. I’ve been blogging for years but in May of this year took the plunge and launched my own .com. I am always looking for new ways to make money from blogging. Thank you for sharing your insight. I so appreciate it. Really good insight. I think the most important thing is to love what you do. I have nowhere near the amount of pageviews as some of these and honestly, can’t fathom having them. But even at 9 years of blogging, I do it because it’s mine… if I make some money while I’m at it.. that’s great. It help offsets the hosting :) Thanks for linking up with us at LOBS! Thanks for joining LOBS. This is a great post. Making money would be great but I love my blog either way especially the connections! I am in awe of all of the people who can make $1000 + through their blogs. I guess I could say that I do in fact earn money through my blog because I do receive a lot of free product, however, I have yet to figure out how to make my blog a source of actual income. Wow! I’m floored. These bloggers are getting more views in a month than I’ve gotten in the past year. I would love to learn the secret to getting views like that! Thanks for sharing this! 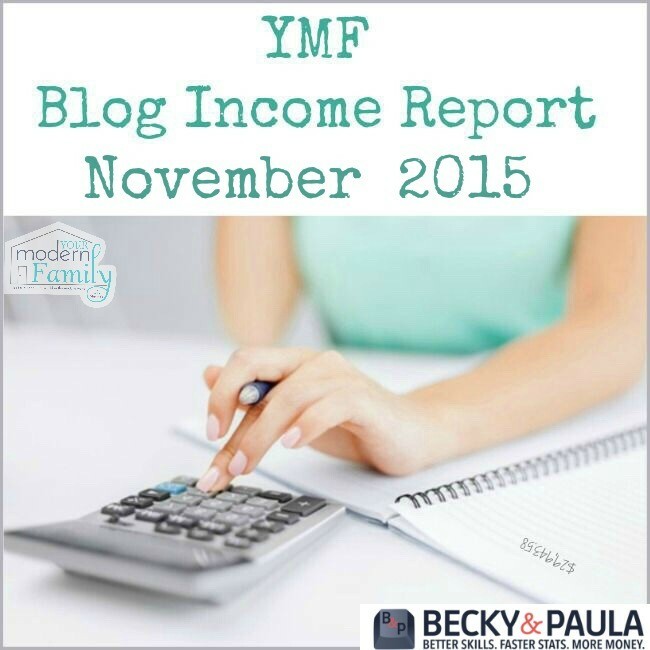 I would love to be able to make money blogging! I feel like I’m not consistent enough and don’t “network” and link up enough to get very many views, but with another baby on the way and more funds always a useful thing, maybe this post was just the inspiration I needed to get myself in gear and move toward monetizing in some small way. I love to see other ladies (stay-at-home moms especially) succeeding and bringing in some income…way to go, ladies! Wow, really interesting insight into the secret blogging world! I’m a beginner myself, started my blog 3 weeks ago and I am planning not to have any ads for at least the first 6 months. I don’t think it’s worth annoying my readers just to earn a few cents. Hi, love the article I have a question when do you need to get a license to start earning or is it after you start earning money that you need a business license. I’m still very new at this and want to get the ball rolling. Also hate to be a bother notice today some of the comments are missing from my post is this normal. Great post! I found your link through SITSgirls. Thanks for sharing. I am looking for info like this for a couple of weeks, but it’s not easy to find. I’m glad you wrote this post :) . Thanks to you and these ladies for your transparency! I really need to work on my page views. This is great information. Thanks for sharing at All Things Pretty! It would be great to know what niche each blogger is in. It’s amazing to see how much people can make blogging. I would love to make more money, but can’t make it a job right now with my small kids. But these are amazing stats! I’m featuring this tonight on my blog and pinning! Such a helpful article! I’ve been blogging for almost 6 months and I love it, love it! kraft&mint is my little creative corner and I delight to work on my crafts and share ideas. Connecting with other bloggers has been neat too! It’s interesting to see how much money folks are making blogging. There are literally thousands of blogs out there. How in the world do you build an audience and make your blog stand out? I was always the occasional blogger because I worked full time. I also took 5 months off for health reasons. I started blogging for the fun of it. It’s a creative outlet for me. Now that I’m not working, it would be awesome to build and audience and make a little bit of money on the side. I’ve heard it’s hard work but if your willing to work hard, you can make some decent money. I’d starve if I had to depend on my blog because I don’t get that much traffic unless one of my projects gets featured. Great series, keep writing about it! Glad I popped over here. Super tips and very interesting! Thanks for sharing on Tutorial Thursdays Linky Party. As I have another linky on Sundays for blogging and Social media tips and tricks, I have moved your link over there. Thank you!! I’m a newbie in blogging and your post really inspired me to continue this blog project of mine. Those six questions are exactly what I’m looking for. Very informative. thanks for this really informative…..I just wonder how long each of the blogs had been actually going before the bloggers started earning money….? That would be very interesting! I imagine a least a year?! Hi, I second Crystal & Co. Would you mind to share the niche of these bloggers? I have always thought that making money was an easy thing and especially with a Blog, but it’s not that easy. You need to work hard, be passionate about what you are doing and find people who believe in what you believe. In my case, I can’t cope with all we have, that’s why I am trying to get more people involved. The split will be lower in the end, but money don’t matter. What it matter is if you are having fun in what you are doing. I completely agree. 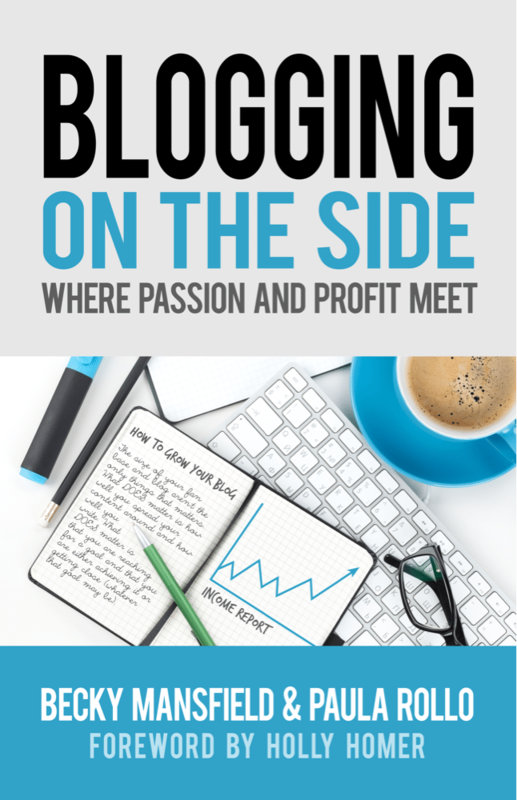 If you aren’t passionate about blogging, there’s no point in doing it to make money. It’s hard work. I have been blogging for over 8 months now and still, I have a very minimal page views every day. Thus I am very much enlightened by these views here…very inspiring….. Thanks for your all advices. Very useful for me. While blogging to earn online can be profitable if done consistently on a daily basis, it can take quite some time to begin earning. I have found that it is much easier and faster for me using a different platform, which is a little like blogging but doesn’t take as long. Great post. I’d like to know how long it took these people until they started making money with advertizing. Seems like a nice way to earn money on something you’re passionate about. It does seem like hard work, but if you’re going to be blogging anyway what’s the harm in making some money while doing so, right? I am a beginner blogger. My blog is only 6 week old. This information is really useful for me. Thanks for sharing this! Honestly I started blogging because I love it…I would like it to maybe make a bit of cash since I love it. It makes more sense to have a job you enjoy…Now my question is my plate is already full since I homeschool. Do the bloggers who blog 40 hours a week have any other commitments?? What would be the recommended amount of hours for someone like me? I am so glad to hear real stories about the passion the must be behind blogging. I am new to blogging and I have noticed it is a slow journey to really build an audience. Admittedly, I only have 1 follower so far and I created my blog spot at the beginning of December. Thank you for asking the question and thanks to all those who responded! I found it all very encouraging. The more you work on blogs; better is the chance of learning new things. And beautiful thing is this is where you earn and learn…! Your this blog post gave me a vision that it is possible to earn money through blogging. Thanks a lot. Could you please mention the niche and the topics of the blogs. It can give the rough estimate of how a niche affect the earnings.. This was one of the most interesting posts on blogging I have read yet. Thank you for taking the time to do this research. It is so interesting because generally all you hear about is what the superstar bloggers are making, but it is nice to know what are some realistic expectations to have. Thank you. This is incredibly helpful. You’ve answered many of the questions we’ve wondered as we start up our blog. It’s great to see we’re on the right path and that persistence, patience, quality content and networking are the key. Of course, I would imagine that’s true of any business not just blogging! We’re blogging because we enjoy the process, but it’s also good to know some monetary goals that we could realistically strive to achieve. Thank you. I have been blogging since 2 years and I have not earned any cent yet however I have monetize my blog with Adsense. Blog traffic is too low. Just about 10 to 15 visitors per day. I am using blogger account that is blogspot type. I want to earn from my blog “Make Money Online Offline At Home”. How to increase traffic to my blog in order to make money at least $100 from the blogspot blog. Make Money Online Offline At Home and leave sensible comment for how to improve my blog traffic to make a massive online money. Thank you. We (Kindness Blog) have been blogging now for nearly ten months, are growing steadily and on target for 60,000 views this month. So far we’re not advertising or earning money at all but it is something we’re considering. Hi Paula, thanks for the encouragement on your blog. I just started a blog a few weeks ago called http://jobsforpeopleover50.com/ with the intention of helping people over 50 create a business in the murky world of affiliate marketing. It is really encouraging to see that some bloggers are making some real money from their efforts. Thanx for sharing this information, its really helpful for new bloggers. what is the safest way to start earning money other than adsense. I agree with every point in this article. WordPress indeed provides a lot of angles to make money. Can you please help me. I am blogging but no money coming in. I have adsense added to it but no money pouring in. I have traffic Everyday on my site. Please help me. Good read. Would love to see the blogs that were listed. Would also like to know how they got that much traffic…a how to would be great. This is very interesting and helpful. Thanks, Paula! Thank you for this post Paula! I came across your other website by way of Pinterest and love all the advice you share on blogging. Thank you! I’m following you on Pinterest as well. I’ve been blogging off and on for years, but have finally decided to take this seriously since I love it so much. Thanks again for all the advice! How many hours a week do you blog? Previously I wrote about a post or informative page per 2 weeks. I’d spend more time on gathering information than actually writing posts. Currently I’m trying to build a database with blogposts that’ll publish twice a week. Now I have time on my hands. This will give me a break in busier times and it motivates me, knowing I have a stack of posts ready. Any Advice for those hoping to start earning money blogging? Last month I realized that I need to treat it as a business or a job, if I want to make serious money from it (= normal wage). Even though the topic is a hobby. That’s why my hourly working rate increased from about an hour a day to about 6-8 hours a day. I’m also working in a more structured way and am setting up a long term strategy. And most important: I have started MANY websites before, but they all failed because my main goal was earning money. This projects sticks because it’s a real passion of mine and I don’t mind earning peanuts from it for the first 5 to maybe 100 years. Well, it would be similar to a sponsored post. You would do the post about the product (giving your honest opinions still) and charge for that, in addition to receiving the product. It’s not officially a “review” at that point because that could be considered them paying you for a good review. It would technically be a sponsored post, but some bloggers use those terms interchangeably. This would be an example: They gave me the diapers that I’m talking about in this post, so that I could write about them well, but I was also compensated monetarily for the post. They didn’t pay me to say postive things about the diapers they paid me to share my opinions on them on my blog and share through social media as well. Its really helpful post that any body can make blog and earn Money if he want. I love your post. Blogger 16’s advice motivated me to never give up :) Thanks for that. Found your blog from Lifehacker and thank you for sharing your knowledge. Love the series, so nice to get actual stories of how bloggers have done well instead of the constant ‘advice’ on other sites. Nice to see that, while it’s not a get rick quick thing, there can be money in blogging if you’re passionate about your blog and write for the long-term. Paula, I enjoyed the info. What some of them bloggers are earning from this is scandalous – I want some! I’m just really starting out, hence the search on how to make a little money doing what I enjoy – your blog came up. I’ve got Infolinks. No earnings yet, but I’m hopeful. One day, eh? Pay Pal, Moneybookers, CC Avenue dan suka . Dan ppengembangan web mengacu pada fungsi dari setijap website . The when I just read a blog, I hoping that this doesnt disappoint me approximately this one. Get real, Yes, it was my method to read, but When i thought youd have something interesting to state. All I hear is a number of whining about something that you could fix should you werent too busy trying to find attention. Hey thanks for this article, i love all stats and analytics data so really enjoyed this. One thing i wish we could have seen was how many blog posts each person had in total. I was looking at another stats post recently and they suggested that after 400 posts things seem to grow much quicker. But would be great to see individuals numbers if you do something like this again. I happen to be writing to make you be aware of what a great experience my cousin’s child enjoyed using your web page. She learned such a lot of issues, including how it is like to possess an incredible teaching mood to have a number of people without difficulty learn about some tortuous subject matter. You actually surpassed our own expected results. Thank you for offering these invaluable, trustworthy, revealing as well as unique tips on this topic to Lizeth. Amazing Post, this is very useful. Thanks for sharing. Thank you so much for the article. This was exactly the info I needed to put the nail in the coffin of any ambitions of starting my own blog. Wow, not a chance I would do this without a reasonable probably of at least a six figure income within 18 months. I am not passionate about ANY subject enough to spend 20 hours each week writing about it for a dollar less. Would rather learn to code android apps or develop JAVA applications as a freelancer for ten times the income in the same time investment. Life is too short. Thank you again, great article. The only info I wish was included was how long were you blogging before you earned income as I know many who never make a dime the first year. I’m so grateful that I’ve came up with this blog post. Thank you for sharing all this information to us. It was really helpful and motivational. Hey Buddy!, I found this information for you: "How Much Money Can a Blogger Earn? (part 3)". Here is the website link: https://www.beautythroughimperfection.com/blogger-earn-3/. Thank you.